Jane Rizzoli and Maura Isles—the inspiration for the hit TNT series—continue their bestselling crime-solving streak. A blessed event becomes a nightmare for pregnant homicide detective Jane Rizzoli when she finds herself on the wrong side of a hostage crisis in this timely and relentless thriller. Tess is great and the story is as suspensful as I expected. But it's also so darn depressing. Can't hold it against Tess - this horror needs to be exposed. Still an outstanding story. I enjoyed this book very much, the plot was good as well. I think what I loved most about it was how descriptive the author was. I would have probably gave it four stars, but the ending wasn't as good as the rest of the book. It was almost as if the author was writing a number one selling book and got tired of writing it at the end and just gave it a very common and predictable ending. But in my opinion, very worth the listen. This is the second book in this series that I have read. This was a bit different story with a more FBI component to it . The story ended to soon. I am looking forward to listening to more of Tess Garritsen's stories. I liked this book very much, as I get to know a character, I look for more books with the same people in them. Makes for a very interesting and connecting read. Tess can do no wrong. Once again, brilliant story-line that's fast paced with a knockout punch! I could barely tell it was abridged. Tess Gerritsen is one of my favorite authors. This audio book was excellent!! It kept me captivated from the very beginning - I didn't want it to end!! Truly one of the best audio books I have listened to!! Great book - I would read it again. Never a dull moment. Loved, loved, loved this book. 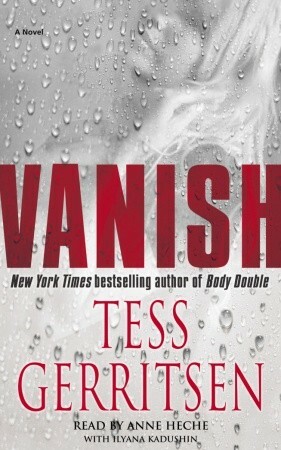 This is the second book by Tess Gerritsen I have listen to and made sure I put all her books on my rental shelf. Very well written. Still not sure if I am a big fan on the reader but....still a great book. Another good listen by Tess Gerritsen. I am always on a wild ride listening to her stories, this was no different. The only complaints I have is that she has changed the character of Jane and made her too soft. I don't know if this is how she views pregnant women, but I found her character way different than in past books. I also did not like the ending it seems the book just stops and you are left to wonder what happens to Jane and Gabrial and the babies life after the murder is solved.